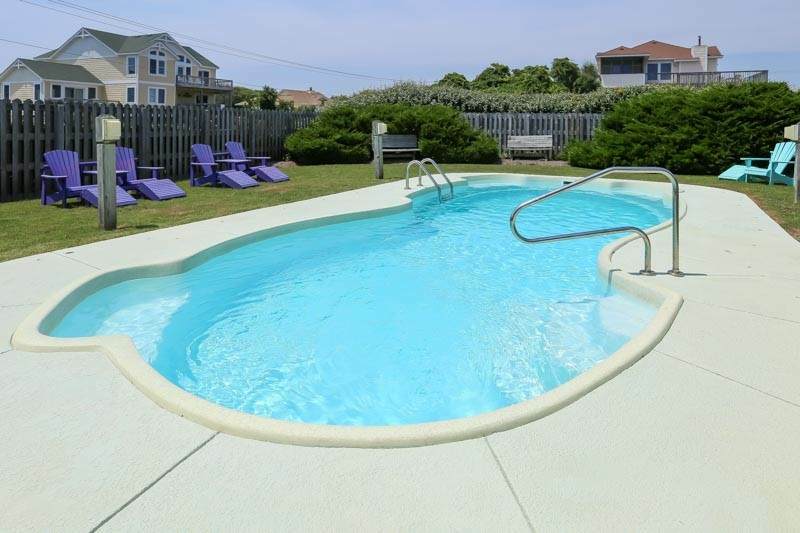 Great oceanside rental property with elevator, pool, 2 hot tubs, ocean views and more! 5 Bedrooms, 4-1/2 baths, downstairs is game room with pool table, flat screen TV and stereo, full bath, a bonus room and storage for bikes, outdoor games, etc. 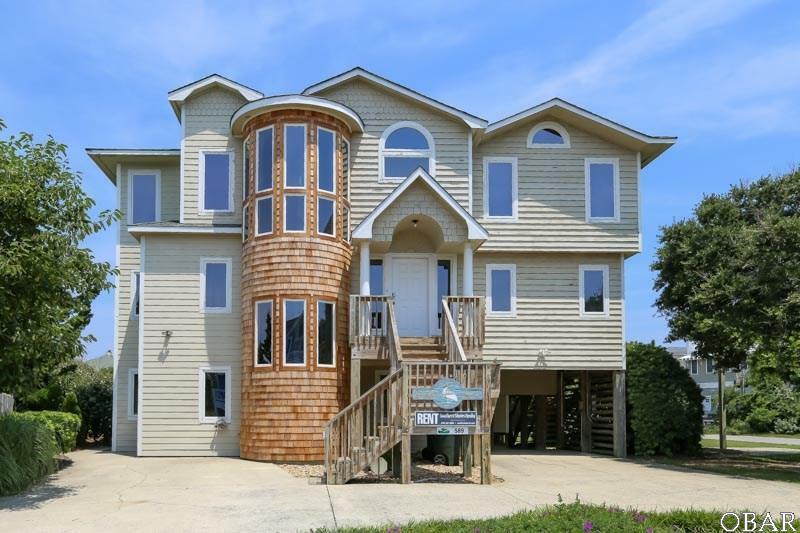 The second level features 4 bedrooms, 2 baths, and access to the porch with 2nd hot tub. Top level has open living area with vaulted juniper ceiling, kitchen with breakfast bar, adjacent breakfast nook, dining area, 1/2 bath and master suite. Master bath has a nice tiled walk-in shower and separate jetted tub. 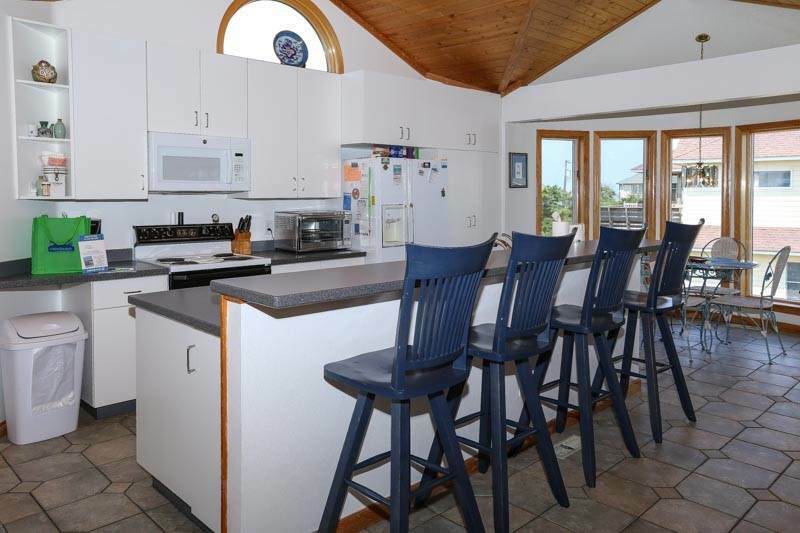 Great ocean views from this level, especially from the spacious deck! The elevator serves all 3 levels. Outdoors is fun space! The in ground pool enclosure has its own hot tub. The upper level porch has a second hot tub. There is an area dedicated to badmitten, under house horse shoes, charcoal grill and a basketball goal. Come see this one today! 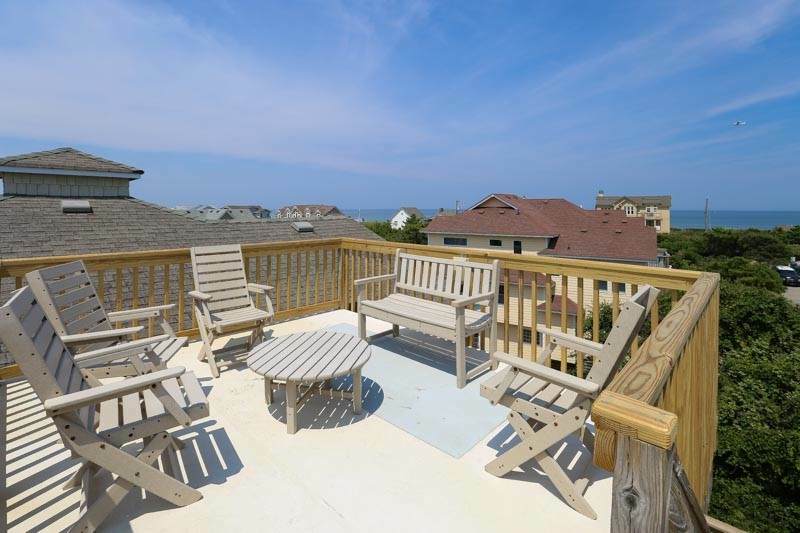 Listing courtesy of Jim Stone of Southern Shores Realty.